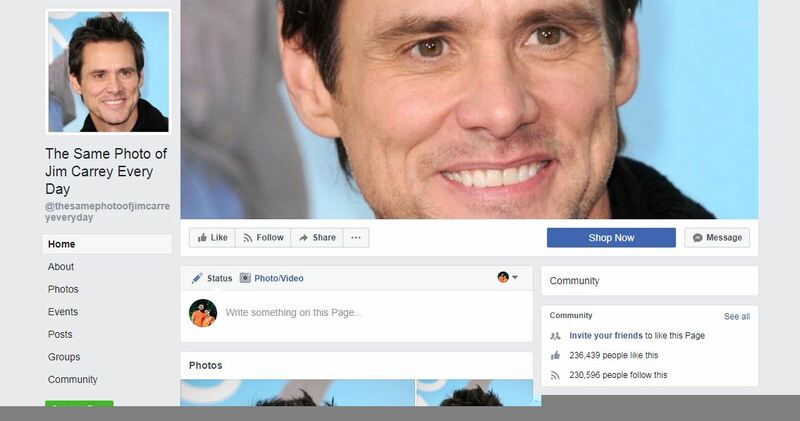 Today, I’m going to uncover a different breed of Facebook users who are beyond memes, and find humour and comfort on pages that post The Same Photo of random Hollywood and Bollywood personalities. 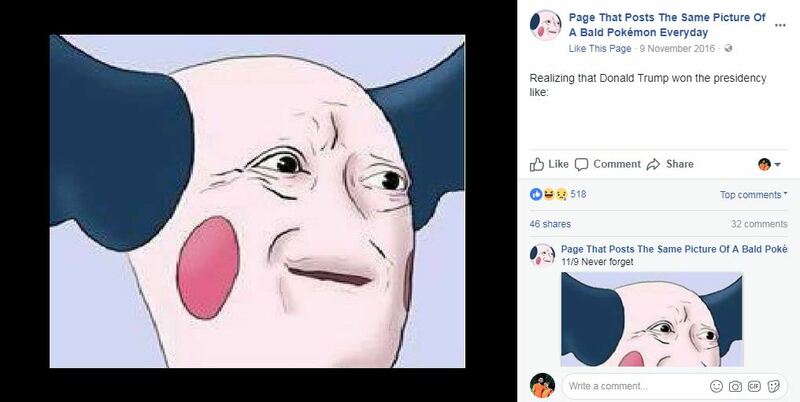 There are many kinds of meme connoisseurs out there, right from normal people who enjoy their 9gags, their AIBs, their BuzzFeeds and RVCJs, to the ones who only want to see offensive or Dank memes as they are referred to. These are the people that do not adhere to standard meme norms and are into stuff that transcends this mainstream meme hoopla. Something that cannot be explained, it can merely be shown to you. 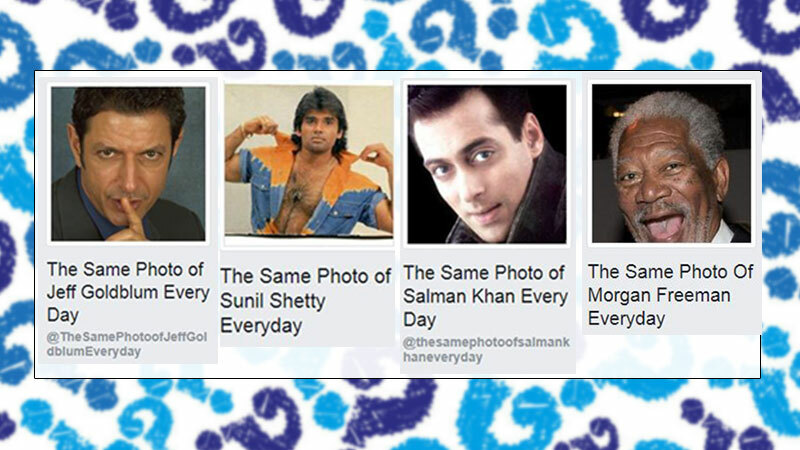 These are people who follow pages that post The Same Photo of Morgan Freeman, Jeff Goldlum, Suniel Shetty, Steve Buscemi, Nicolas Cage, Michael Cera, an uncomfortable hybrid of Stone Cold Steve Austin and Steve Buscemi, and so many more uncomfortable things. Memes and the internet’s recent infatuation with them is nothing short of magnificent. They have become the source of humour, the sign of true friendship and the bridge that connects strangers on the internet. But what could possibly be so interesting about The Same Picture Of Jeff Goldblum Every Day that as many as 315k people feel the need to follow it? 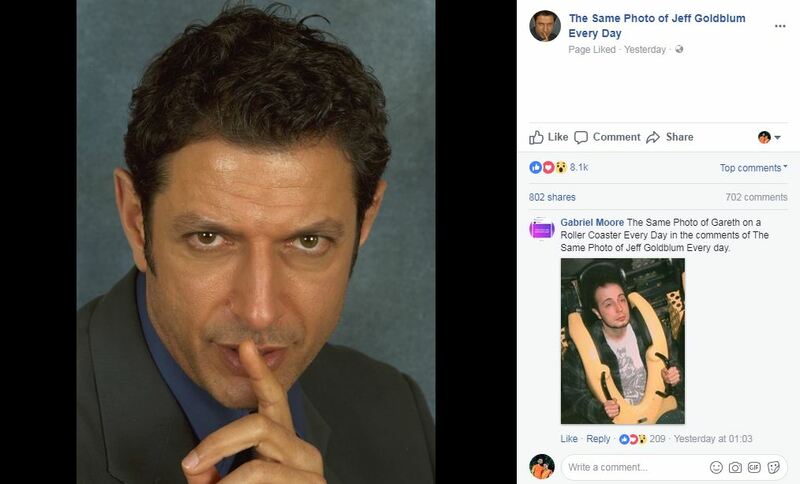 Yeah I’m not joking, the page has 315,000 followers, and the admin ACTUALLY POSTS THE SAME PICTURE OF JEFF GOLDBLUM EVERY DAY! 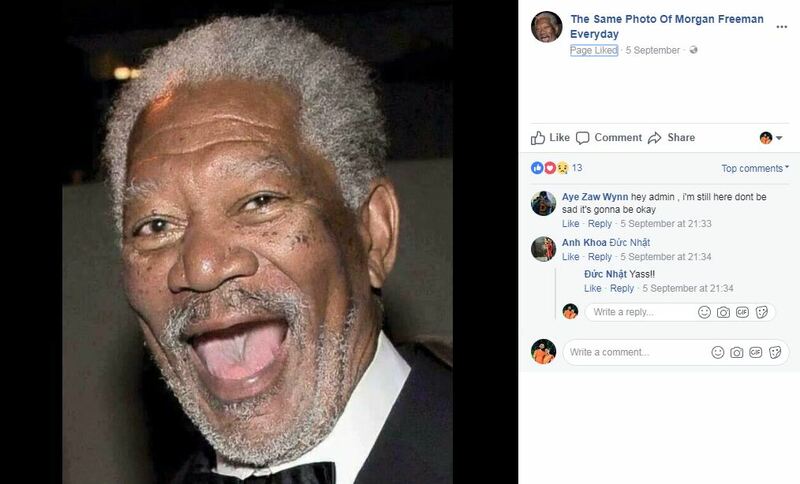 And if you thought this creepy/hilarious/strange/marvelous phenomenon was extraordinary, there is a guy that posts The Same Photo of Gareth on a Roller Coaster Every Day in the comments of The Same Photo of Jeff Goldblum Every day. One would think this could be the brainchild of just one man perhaps, and could be an isolated incident of someone who simply has a lot of free time and has united thousands of people who love to watch Jeff Goldblum raising his fingers to his lips with eyes that pierce your soul, but no. There are more. 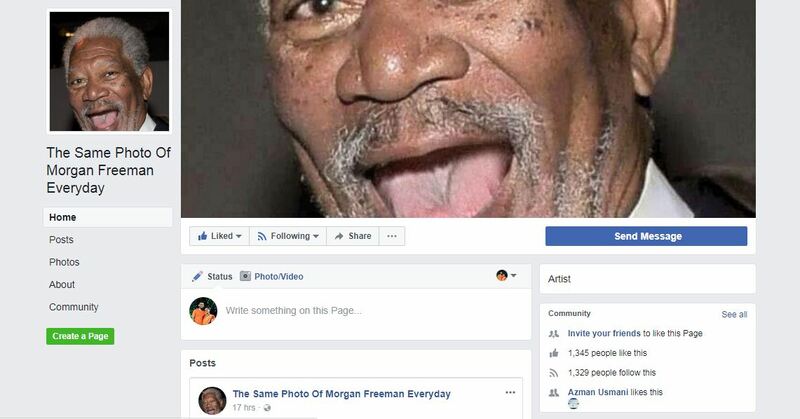 The Same Photo of Morgan Freeman Every Day posts The Same Photo of Morgan Freeman Every Day. 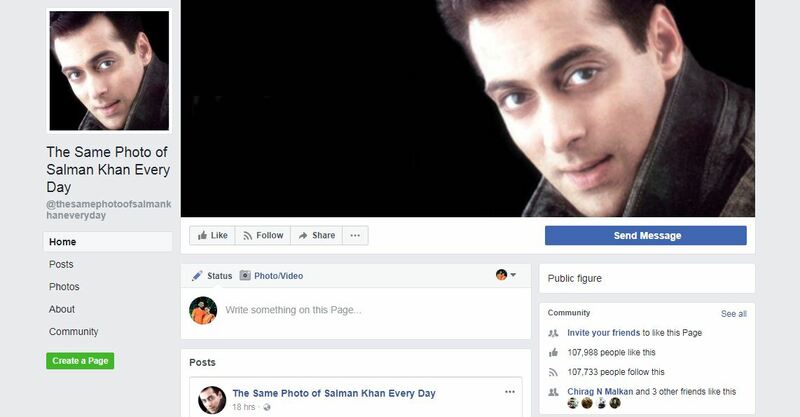 There are specific pages for Salman Khan. Yeah more than 164k like to watch the same picture of Michael Cera every goddamn day! Yeah you read that right. 62K followers. 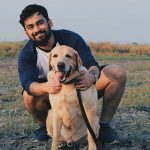 And you won’t believe this, but a Dog in tap shoes has his own page with more than 20k Followers! This one is really funny to be honest. And of course there’s Garlic Bread. The only one that makes sense to me! 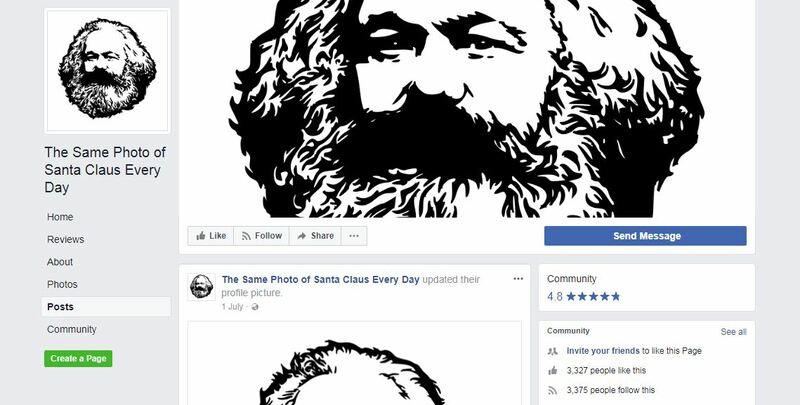 There is also a page that posts the same photo of Karl Marx although they have rechristened him as Santa Claus! 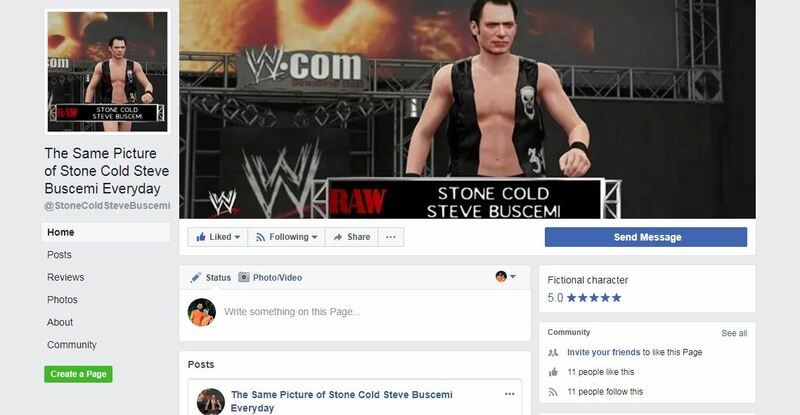 So why do you think these pages exist, and why do thousands of people embrace the uniformity within this absurdity? 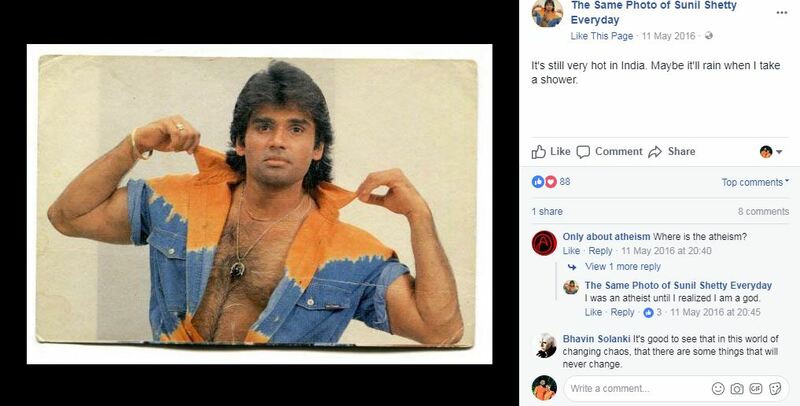 As you can see, Mr. Bhavin Solanki offered us some insight with his comment on Suniel Shetty’s picture. 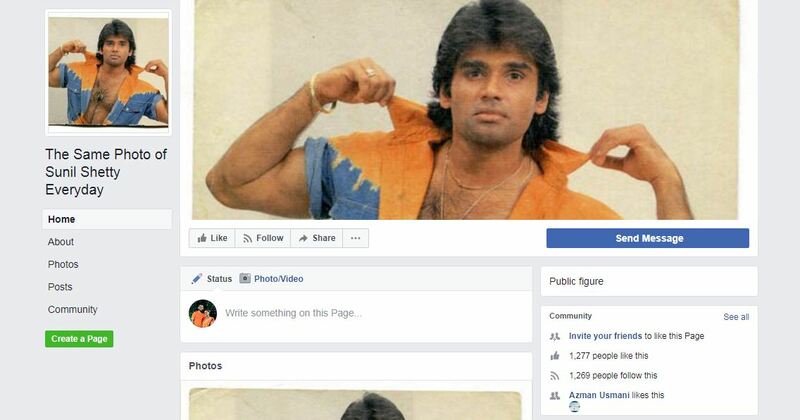 Is it the promise of stability, the constancy, the calm among the ever changing social media world that draws people to such people? We may never know. The only thing we may know with absolute certainty in a world where we know not what comes next is that there will be the same photo of your favourite celebrity EVERY SINGLE DAY.